Many of the critical events and dreadful realities of the intense warfare in New Jersey during the American Revolution have been forgotten, neglected, or lost to history. Sites in the Garden State where patriots fought and died remain unmarked, shrouded in mystery, clouded in mythology, or concealed by obscure accounts and dull statistics. Many places in the “Crossroads of the Revolution” state have entirely disappeared, while others languish unnoticed or have been built over by town development and local highways. Many of the Garden State residents who commute every day over heavily trafficked streets are completely unaware of the fierce struggles that occurred along their route during America’s most important war. In Revolutionary New Jersey Robert Mayers has rediscovered and revived the history of previously forsaken locations by exploring them in person. He then enhances his observations from on-site visits with fresh research from original documents, often discovered in obscure British, Hessian and French records. 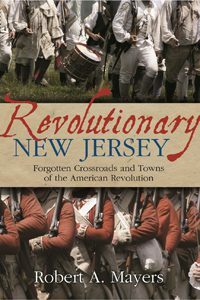 The reader is subsequently transported to the battlefields and encampments in three theaters of the conflict in New Jersey— “The War in the Countryside,” “The War at the Shore” and “New Jersey Campgrounds”—by describing Revolutionary events which occurred in more than 100 present-day towns. This narrative escorts readers back in time to feel, see, and hear the action that occurred over 200 years ago in familiar settings. 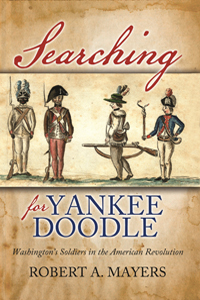 It is hoped that all readers of Bob Mayers’s newest book will acquire a new respect for the Revolutionary War events that took place locally (and in some instances in their own backyards). It is through this awareness that local sites might be maintained, and the glorious memory of those individuals who fought for our freedom preserved for the future.